The best pictures of the Earl of Strafford are striking images of scenes from the rise and fall of Thomas Wentworth, the statesman and Royalist from Wentworth Woodhouse in Yorkshire. 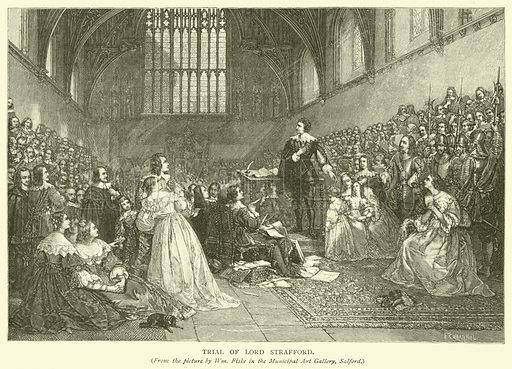 The first picture shows the trial of Strafford. 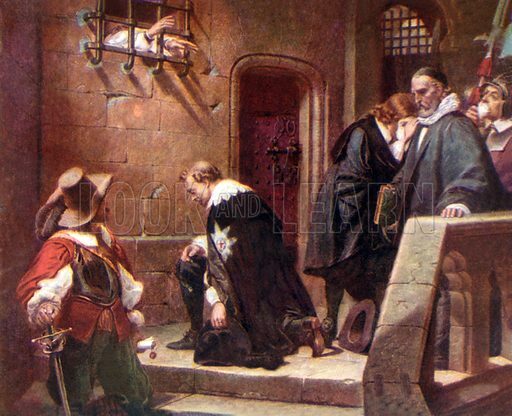 The second picture shows Strafford on his way to execution being blessed by the outstretched hands of imprisoned Archbishop Laud. 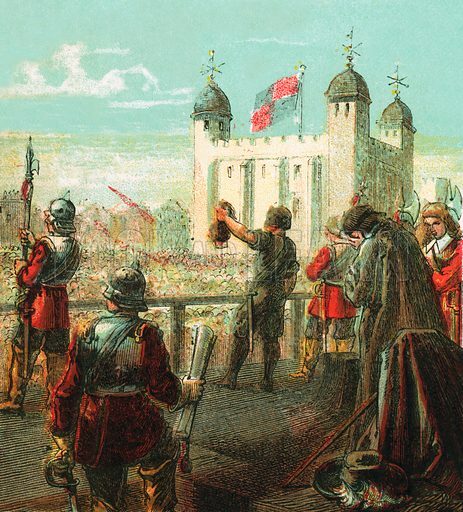 The third picture shows his execution. Many more pictures of Parliament can be found at the Look and Learn picture library.